Working with Joel Katz Design Associates, Osorio enlarged the photographs, which were transferred onto glass panels by Derix Glasstudios in Taunusstein, Germany. To create a sense of three-dimensionality, Derix developed a brand-new process through which mirror images of photographs were screen-printed with enamels onto two glass panels. These panels were then sandwiched together to create a single image with greater depth and body that is also extremely durable. 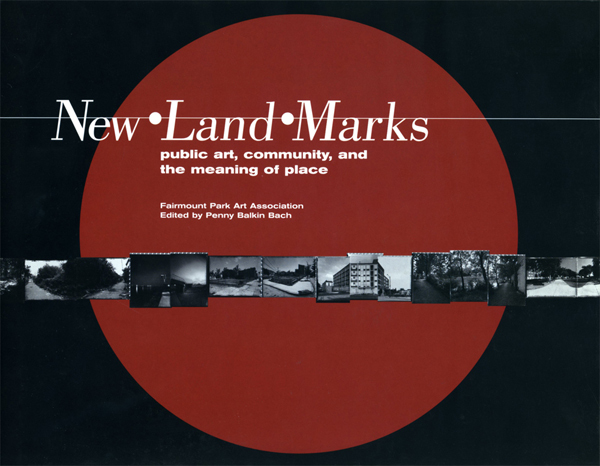 Adapted from New•Land•Marks: public art, community, and the meaning of place edited by Penny Balkin Bach (Grayson Publishing, Washington, DC, 2001). From North Broad Street, take Lehigh Avenue heading east. Turn left on American Street and continue to Somerset Street. Congreso de Latinos Unidos is located at American and Somerset Streets. 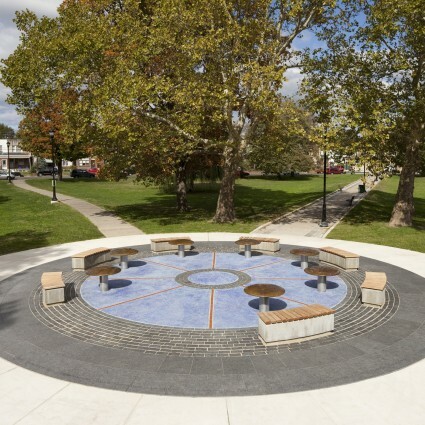 I have a story to tell you… is the first permanent public art commission for Pepón Osorio, an internationally renowned artist who was born in Puerto Rico and currently resides in Philadelphia. 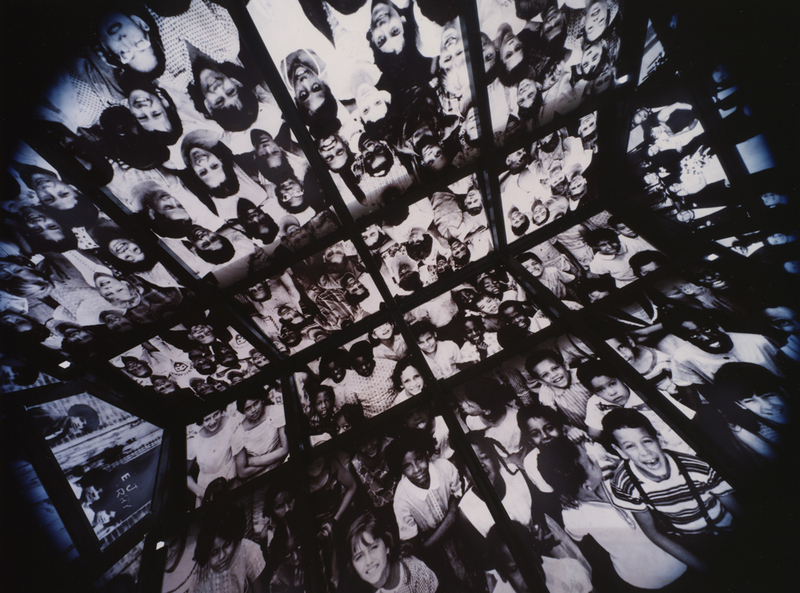 Osorio was awarded a prestigious MacArthur Foundation Fellowship in 1999 and was featured in the PBS television series, Art:21 – Art in the Twenty-first Century. His work has appeared in the Whitney Biennial and has been exhibited worldwide, including biennials in Havana and Johannesburg. Among his other honors are a Skowhegan Medal for Sculpture, the Louis Comfort Tiffany Foundation Biennial Award, and the CalArts/Alpert Award for Visual Arts. Osorio creates installations that incorporate images and artifacts from daily life in Puerto Rico and in Latino communities on the mainland. His work explores the processes of cultural transmission, as well as the construction of social and cultural identity. Seeking to “bridge boundaries . . . that separate the art world and community life,” Osorio has engaged underserved communities around the country in the process of creating contemporary art. 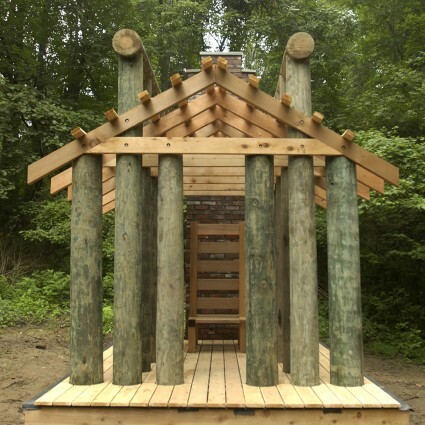 His installations grow from a dialogue among community members, social service providers, and the commissioning institution. Congreso de Latinos Unidos is a multicultural community agency and the leading provider of social, economic, health, and educational services to the Latino community of Philadelphia. Intended to build “human capital,” Congreso’s broad range of programs offers a holistic approach to community development and social services. Although Congreso does not define its constituency geographically, its services focus primarily on the eastern section of North Philadelphia, the area of the city with the highest concentration of Latino citizens in need. 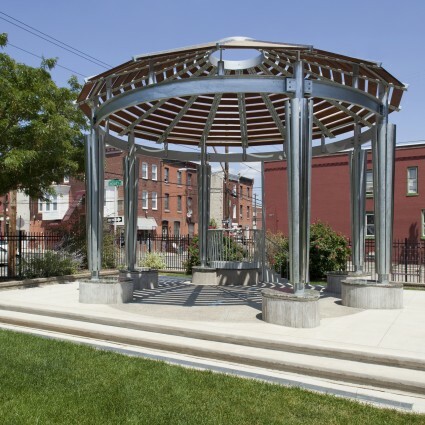 The facility at American and Somerset Streets, located in an industrial building donated by the City of Philadelphia, has positioned the organization in the heart of Latino Philadelphia, providing space to accommodate Congreso’s rapidly expanding programs.